Yellow PT-19 rudder decal R/W/B? I have an old but decent dispaly PT-19. Kinda bought piece meal. The rudder has no decal and just wondered if any are availble ? Looks kinda baron on tail group. Mabye just make one from monocote trim. Maybe photo of what it looks like to make one set. 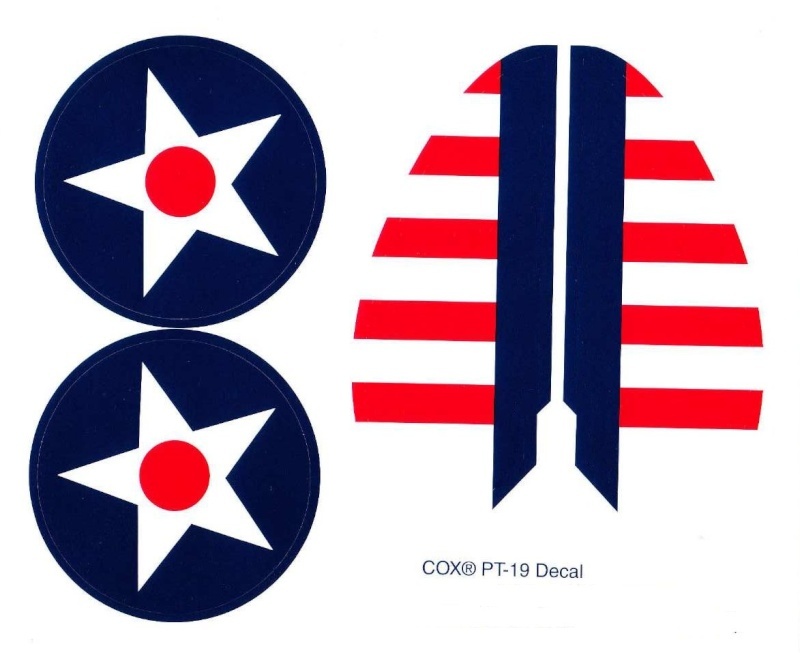 Re: Yellow PT-19 rudder decal R/W/B? Thank you very much. I can make that.